The Smithsonian’s National Museum of the American Indian has raised more than $6 million for the National Native American Veterans Memorial. The museum will raise $15 million for the project, with $8 million going to construction, $4 million for programming and outreach, and $3 million to create an endowment for its long-term maintenance. 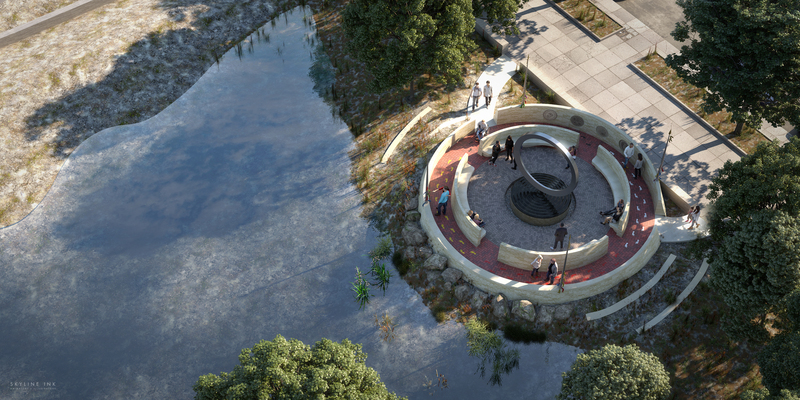 Since fundraising began, the museum has received numerous donations for the memorial, including the following major gifts: $1 million from the Cheyenne and Arapaho Tribes, $1 million from the Shakopee Mdewakanton Sioux Community, $500,000 from the BNSF Railway Foundation, $500,000 from the Chickasaw Nation and $500,000 from the Eastern Band of Cherokee Indians. A Nov. 8 event celebrating the memorial raised $32,000. The memorial design, announced by the museum June 26, is by Harvey Pratt (Cheyenne and Arapaho Tribes of Oklahoma), a multimedia artist, retired forensic artist and Marine Corps Vietnam veteran. The design features an elevated stainless steel circle resting on an intricately carved stone drum. It also incorporates water for sacred ceremonies, benches for gatherings and four lances where veterans, family members, tribal leaders and others can tie cloths for prayers and healing. Native Americans serve at a higher rate per capita than any other population group. Native men and women have served in the U.S. armed forces since the American Revolution and continue to serve today. This will be the first national landmark in Washington, D.C., to focus on the contributions of American Indians, Alaska Natives and Native Hawaiians who have served in the military. The groundbreaking for the memorial is slated for Sept. 21, 2019, and the dedication for Nov. 11, 2020. For more information about the memorial, visit AmericanIndian.si.edu/NNAVM.